New Relic is a monitoring tool that gives you detailed performance breakdowns on a granular level. We use New Relic tracking internally to keep tabs on all websites on our network and react speedily to any issues before they cause problems. 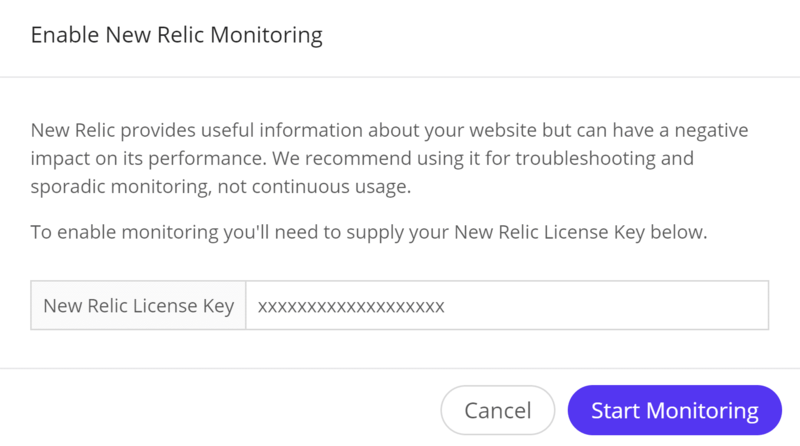 New Relic will only allow one license key at a time which means if you use your own, we’ll lose the ability to monitor your site. In other words, you can’t have two New Relic scripts running on your domain at the same time. If you want to monitor your own website or need ongoing access to New Relic data, then you will want to purchase your own license key. There are no limitations when using your own license key. 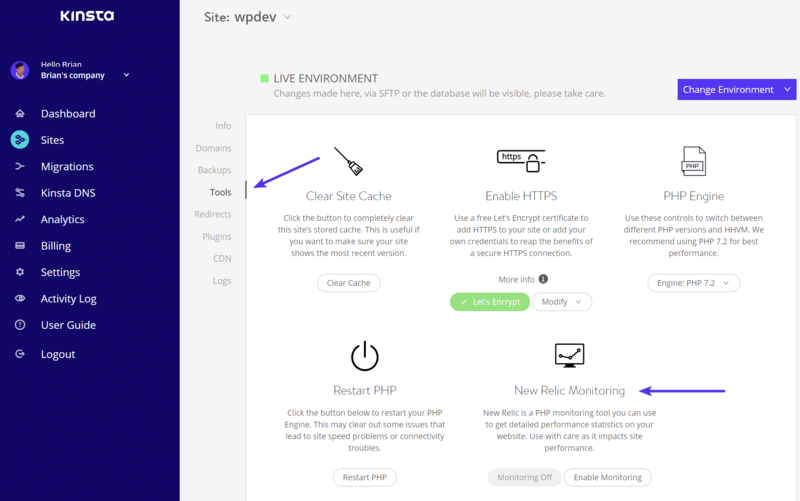 Below are instructions on how to purchase your own New Relic Application Performance Monitoring (APM) license key, which you can then add in the MyKinsta dashboard. Head over to New Relic’s APM pricing page. Select the “Self-Hosted Environments” option. Choose between the Pro or Essentials plan. We utilize the Essentials plan here at Kinsta and that is the one we recommend. What’s the difference? The Pro plan has longer data retention and a few additional features: service maps, deployment tracking, and SLA reports. Compare the two. To add your New Relic license key to MyKinsta follow the steps below. Log in to the MyKinsta dashboard. Select the site in question and go to the tools section. To remove your license key simply click the delete button. 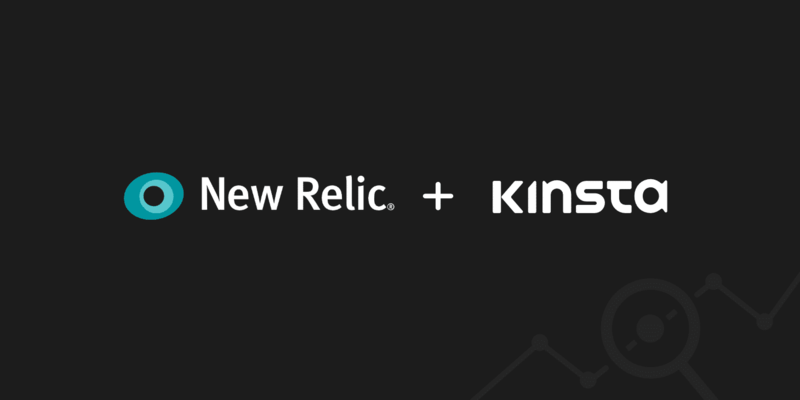 This will hand back New Relic tracking operations to us and we’ll resume monitoring your site. → How do I point my domain to Kinsta from Bluehost? → Do You Support WordPress Multisite?